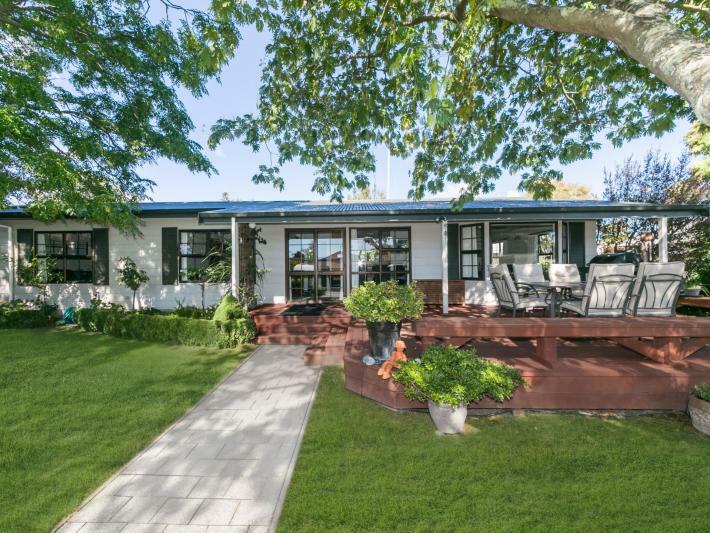 Tucked away in a quiet cul-de-sac this immaculate 1980s home is only a stones throw away from the Havelock North village allowing for convenience, comfort and character all at the same time. This generous three bedroom family home with one bedroom currently being used as an office and a master bedroom with new en-suite, open plan living and dining with a compliant fire place to enjoy cosy winter evenings is the perfect set up for those wanting a forever home. A laundry room, newly renovated family bathroom and separate toilet makes up the rest of this character home. Enjoy outdoor living on the front deck or backyard amongst the immaculate garden, having privacy which is perfect for entertaining friends and family. Mature trees and all day sun, vegetable gardens and fruit trees gives a sense of tranquility to this home. A double garage and extra space for caravan or boat allows opportunity for leisurely weekends.